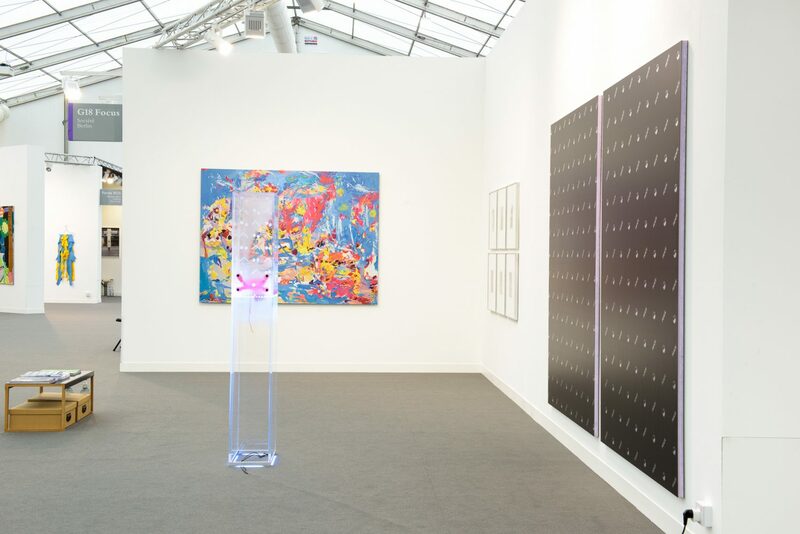 Los Angeles–based artist Petra Cortright, who is perhaps best known for her webcam video works, will present a largescaledigital aluminum painting. The work comes from a series that the artist has been working on for the past three years. To make this work, Cortright first created hundreds of layers on top of each other in Photoshop, then had the resulting file printed on an aluminum plate. The process highlights a permeability that is paradigmatic for her work: between digital source and physical form. The black-and-white prints on view by New York–based artist Josh Kolbo derive from a new series of photos that he simulated himself and then printed using silver gelatin. He then overworked some of them with color-correcting ink. 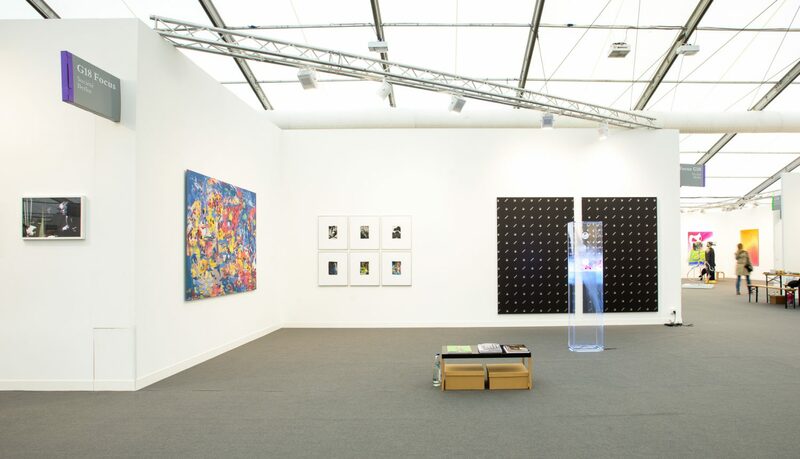 In following with the subject matter of his essay in his artist book “A Simulated Future amid Collapse” (Edition Société, 2015), these digitally generated photos take a physical form so as to underline the way that digital imaging is bound to physical matter––and, though more abstractly, ideology. Berlin-based artist Timur Si-Qin will present a sculpture made using 3D printing and an LED light system as well as a wall-mounted inkjet print. The sculpture relates to a series of exhibitions that Si-Qin mounted in 2014 and 2015 called Premier Mechanic Funerary. 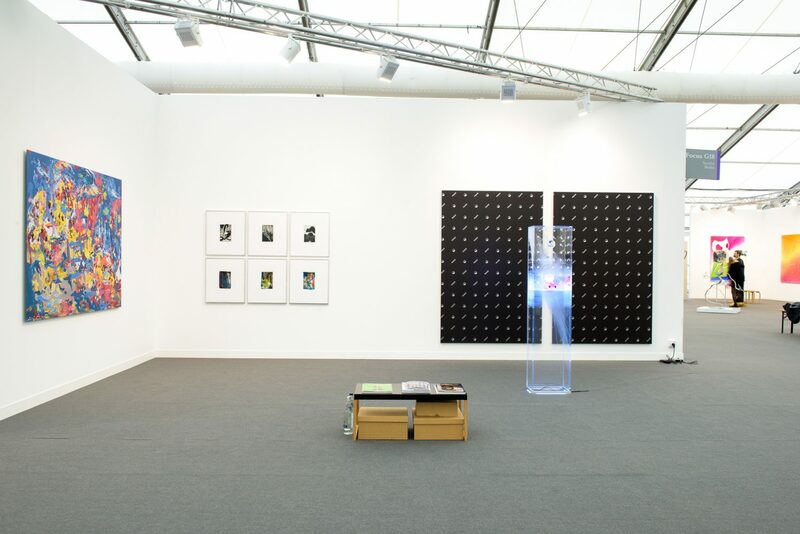 Both of the works on view at Frieze London 2015 have been branded with a visual identity created by Si-Qin that consists of the word «PEACE» and a redesigned Taoist Taiji symbol. Each work relates to Si-Qin’s ongoing interest in biological and evolutionary theory as it relates to commercial aesthetics.